Kyoko Hida-Battaglia holds a Bachelor's of Music degree from Tokyo College of Music and a Master's degree from the New England Conservatory. She is a regular player with the Boston Philharmonic Orchestra, Symphony New Hampshire, and Lexington Symphony. Kyoko has performed in the past with the Boston Symphony, Boston Pops, Boston Ballet, Boston Lyric Opera, New Haven Symphony and Colorado Music Festival. 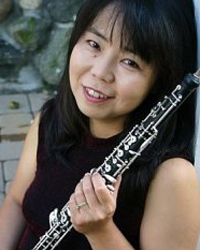 In addition to teaching at Winchester Community Music School, Kyoko is a faculty member at the Boston Conservatory, the New England Conservatory Preparatory Division, the Rivers School Conservatory, and Manchester Community Music School in New Hampshire.